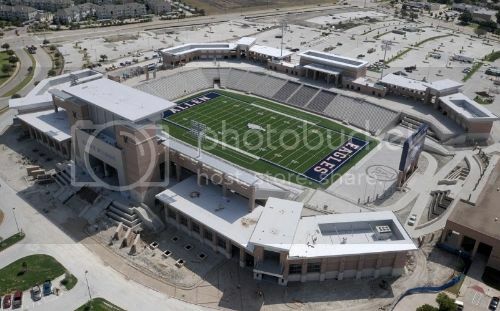 Welcome to Allen Tx home of the 2012 Football State Champions! From eating to meeting and everything in between, Allen has all the goods on everything that’s good! The weather is always beautiful, and getting here couldn't be easier. Whether you are shopping, attending a sporting event, planning a meeting or maybe just relaxing with your family – Allen is the perfect place. Just 24 miles from Dallas, Allen is the perfect place for any kind of visit! Allen has more than 180 restaurants to fit just about every dining experience for every taste. Whether you’re a fan of local barbecue or more exotic fare, you’ll find all the food you love right around the corner. And, there’s no need to dress up – unless you want to! With four unique shopping destinations, you’ll need to remember to bring an extra suitcase just to get it all home! Watters Creek at Montgomery Farm has the latest in upscale fashion, from national favorites to unique boutiques, nestled in a resort-style setting. The Village at Allen combines major retail with a variety of eateries, play areas for the kids and Allen Event Center-sized entertainment. Bargain hunters come from miles around to get just the right deal at the more than 100 stores located within Allen Premium Outlets. Cabela’s is an outfitters dream. Ready, set – shop! Allen High Schoolers being...well AWESOME!